Peter Clark Reports On The Way Ahead For This Fijian Operator. Mike Weir Filed This Report On The Lates On The Us Air Racing Scene. 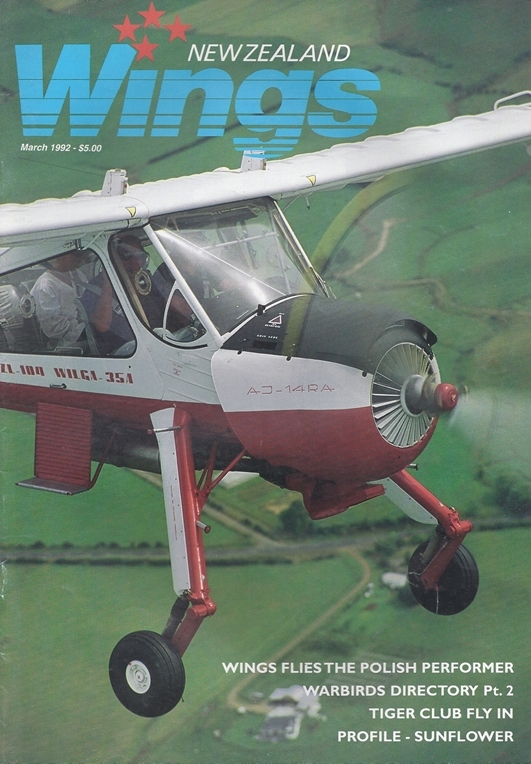 Ross Ewing Flies The Polish-Built Wilga. 1991 Tiger Moths Over Manawatu Beaches - See Report This Issue. John King Photograph.